Is One of These Your Next Car? This is the type of wild concept car that has excited us since we were kids. They offer a glimpse into the future, but sometimes those glimpses don’t lead anywhere. Mercedes-AMG, however, does plan to produce and market something close to this 805-hp twin-turbo V8 and electric hybrid-powered all-wheel-drive sedan. The company claims to use technology from the Mercedes F1 team in the four-door coupe’s hybrid system, contributing to a sub-three-second 0–60 mph time. Test cars have already been spotted running in Germany, so development is serious. 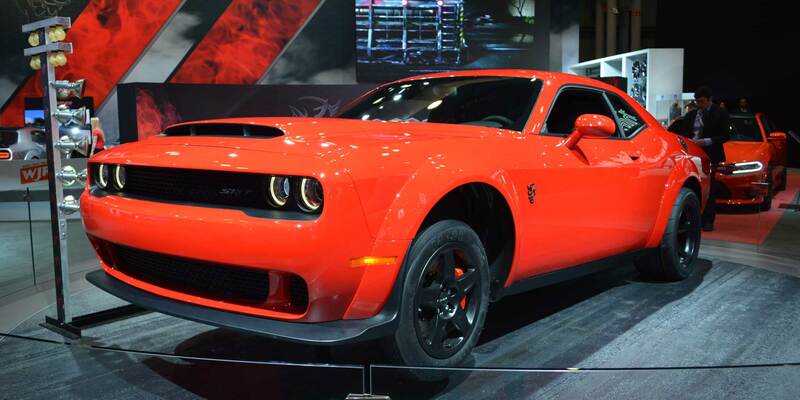 The Demon is a street-legal drag car that can pull a wheelie straight off of the showroom floor. Check out the numbers: the supercharged 6.2-liter Hemi V8 engine produces 840 hp and 770 lb-ft of torque; the car can go from 0 to 60 mph in 2.3 seconds; and most notably, it can cover a quarter mile in 9.65 seconds at 140 mph. That’s hypercar-beating performance, at least in a straight line—unheard of from a production car, especially one that will likely cost less than $100,000. The Demon comes with drag radial tires and an innovative system that chills the intercoolers with the air conditioning system. There are plenty of other racing-focused trick parts included—or not, in the case of the passenger seats, which are optional at $1 each to save weight. Production for 2018 is limited to 3,000 cars for the U.S., and 300 for Canada. This was our favorite car at the show, even with the new 911 GT3 appearing right next to it on stage. 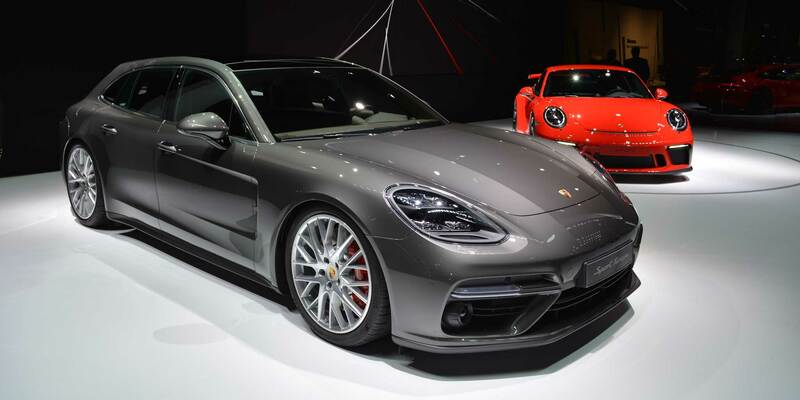 The redesigned Panamera already looks great, but the Sport Turismo iteration takes it to a new level. For something we’d like to drive daily, it doesn’t get much better than a vehicle that combines the performance of a supercar, GT luxury, and the practicality of an old-school station wagon. We hope Porsche sells many of these and starts a trend. All-wheel drive will be standard, with a turbocharged 3.0-liter V6 in the 4, 4S, and E-Hybrid models, plus a turbocharged 4.0-liter V8 in the Turbo model. That one features 550 hp and a 0–60 mph time of 3.4 seconds—in a car that looks like a station wagon! Pricing starts at $97,250 for an auto that can seemingly do everything. If you’d like to fly on your daily commute but stay under the radar, Audi’s new, but evolutionarily styled S4 is the perfect Q-ship for you. The all-wheel-drive sport sedan is equipped with a turbocharged 354-hp 3.0L V6, and it will compress you against its massaging sport seats, reaching 60 mph in 4.4 seconds. The Audi’s interior design recalls the much more expensive R8 V10, with the technology to match. An eight-speed automatic is the only transmission on offer, as the manual option has been dropped. 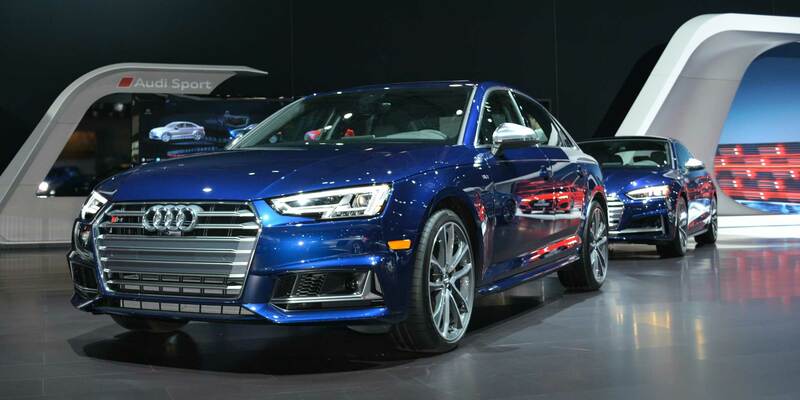 If you don’t mind that, the S4 is a lot of car for the starting price of $51,875. 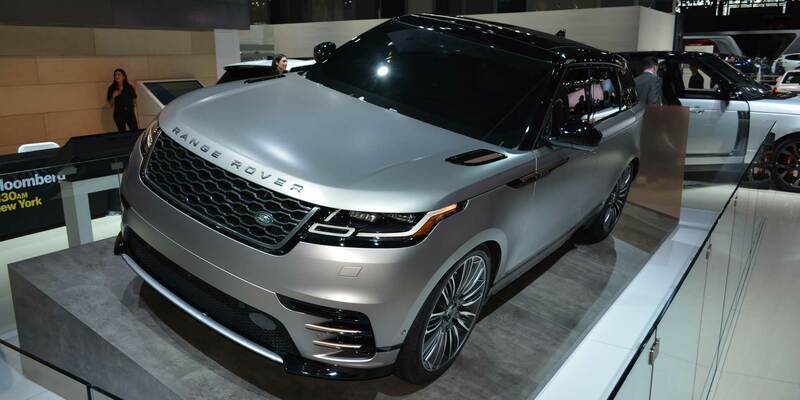 Land Rover now has added a fourth Range Rover to its lineup, with the medium-sized Velar slotting in between the Evoque and the Range Rover Sport. Range Rovers have come a long way from their utilitarian origins, and the Velar shows off the cutting edge of what the British automaker sees as its unique formula of luxurious practicality and artful design. The five-passenger vehicle is the most aerodynamic Land Rover ever with a 0.32 Cd, which should help fuel economy, and even has optional non-leather sustainable seating materials. Pricing starts at $50,895 and a selection of four- and six-cylinder powertrains is available, including a diesel. In the full-size luxury SUV market, if you want to buy American, you’ve had two choices: the Cadillac Escalade and the Lincoln Navigator. For some years, it seemed as if the Cadillac was pulling away, leaving the Navigator looking a bit stale, but the Lincoln flagship has suddenly come back hard and fast. The all-new Navigator’s aluminum sheet-metal styling is refreshingly distinguished with a more premium look, but the plush interior is where Lincoln’s effort really shows, with beautiful detailing, materials, and technology. Lincoln has also spent a lot of time making sure the interior is quiet, with new passive and active technologies in place. A turbocharged 3.5L V6 engine derived from the Ford Raptor delivers 450 hp. This Navigator starts at $74,000 and offers a new vision of American luxury as Lincoln continues to reinvent itself.